Ages 3- 6 and 7- 13 Click Here to Save a Seat! Sunday is a day of the week where everyone is home and most everyone has a chance to sleep in. On lazy days when you don’t feel like getting up early for breakfast, consider preparing a tasty Brunch at the Real Food Academy instead. 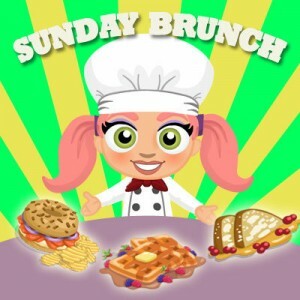 Brunch mixes breakfast time with lunchtime and gives you the chance to explore the new inventive way to have a delicious meal.